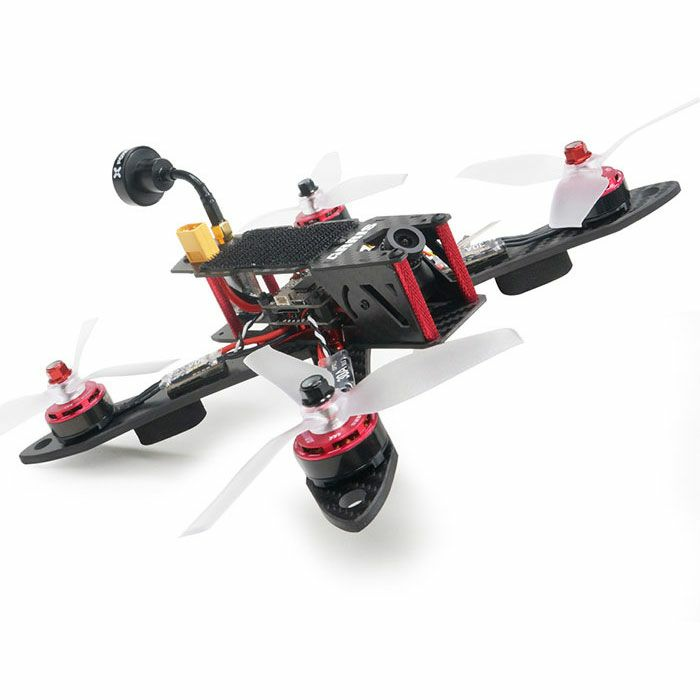 The basic version of the ARRIS X220 220mm FPV racig drone RTF is specially designed for beginners.As a beginner, it is really difficult for to choose the proper parts, soldering the electronic parts and do the tuning in the software.Therefore one ready to fly drone is the best choice. 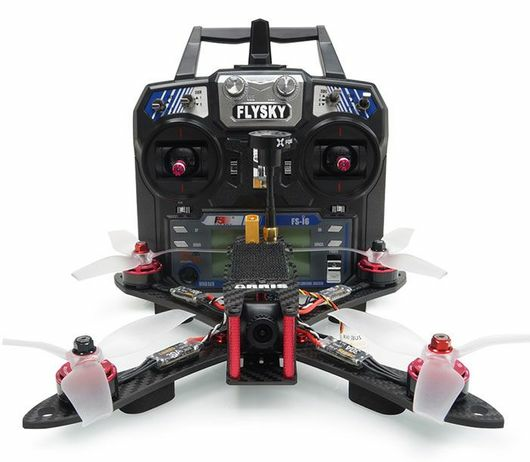 ARRIS X220 220MM RTF comes with F4 flight controller, S2205 2300KV brushless motor, BLheli-S 30A ESC, Foxeer HS1177 V2 FPV Camera, TS5823 32CH video transmitter,antenna,4S 1500mah lipo battery and Flysky FSI6 radio with receiver.It is fully assembled and tested before leaving the factory. When you receive it, plug the battery, the drone is ready to fly. The main feature of the ARRIS X220 is the "X" symmetrical design,light weight,simple structure,durable and agile. 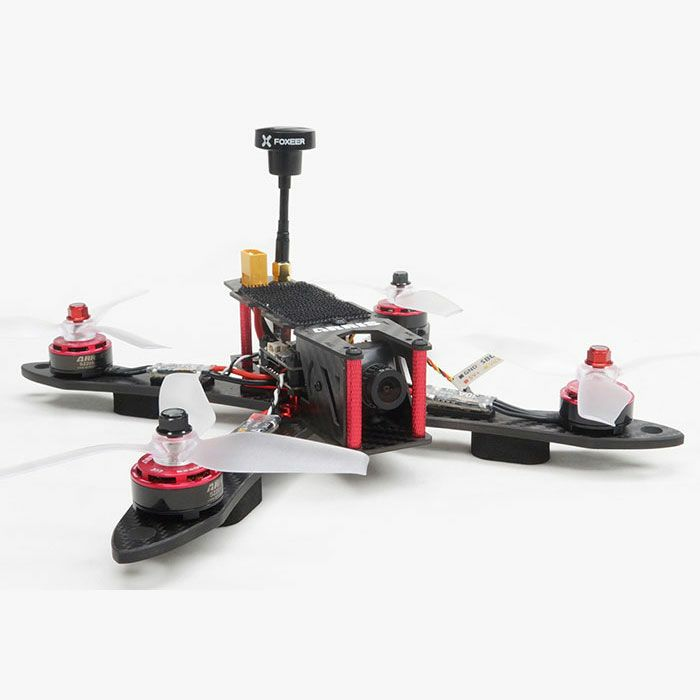 The arm is 4mm thickness carbon fiber plate, ensure the strength of the quad,great for freestyle. With optional camera mount, the GoPro and Sports camera can install on it easily. ARRIS 5042 high efficiency 3 blade propellers--It is very powerful and well ballanced. It has 10% higher effeciency than normal propellers. Pefectly suitable for FPV racing. ARRIS 30A 2-4S BLS ESC for FPV Racing Quads. Betaflight OMNIBUS F4 Pro V2 Flight Controller with Built-in OSD. ARRIS X220 has integrated with a remote controller battery warning buzzer, pilot can set the threshold (adjustable) according to CF parameter-adjustment software. When you turn on the SWD switch to 2 position, the buzzer will "beep beep", it is easy for you to find the quad. ARRIS 4S 1500mAh 50C lipo battery is specially designed for FPV racer. The price of this battery is much higher than the similar batteries in the market, because we only sell top-quality batteries. As we all know, the low quality battery might have potential safety hazard, we will never tolerate such products.For ARRIS 4S 1500mah lipo battery, we have done UN38.3 test,1.2M Drop test,MDS report for it.